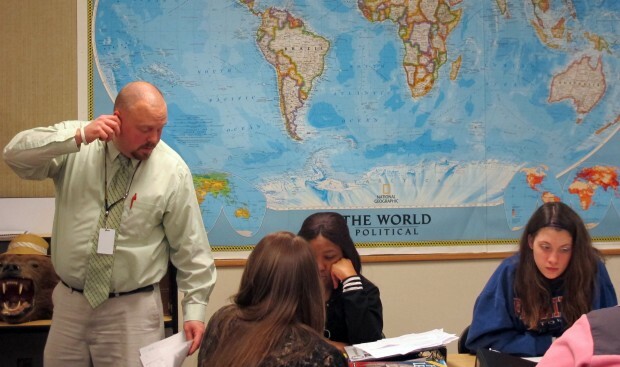 Teacher Wes Upton answer a student's question in his social studies class at Ben Davis Ninth Grade Center in Indianapolis. But after all the political machinations of the session, the fact remains that Ritz job is to implement state education policy, which gives her pretty major latitude to decide key questions about how major reforms are put in place. Teacher evaluation is the area where this is perhaps most clear. Despite the caricature of Ritz by her opponents as naive and uninformed she is, in fact, a true expert on evaluation. As a National Board certified teacher, she has earned a top teaching credential that requires intensive evaluation of her own teaching and she’s been involved in evaluation policymaking at a state and national level. She and Bennett view evaluation very differently from one another, which means Ritz also likely diverges from most Republican lawmakers on how the law should be implemented. But creating the specific processes and establishing guidelines for how districts should do evaluation under the 2011 law is her job and therefore some of the key decisions are her call. Before Bennett’s defeat, we wrote about the Department of Education-developed RISE teacher evaluation model, which as many as 80 percent of Indiana school corporations were using at the start of the school year. But an increasing number of districts have moved away from the state’s model, keeping the rubric but setting their own guidelines on the merit pay provision of the teacher evaluation law. State law dictates schools use some student growth data — that is, scores on standardized tests — to assess teachers. Under the state-approved model piloted under Bennett, teachers whose students took standardized tests saw a bigger piece of their final score impacted by that data. 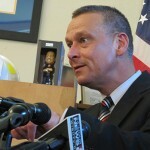 Many teachers unions felt that was unfair and urged their districts to make tweaks. 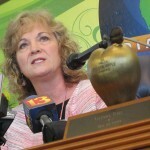 Ritz supports local control of teacher evaluation systems. For more on what teacher evaluations look like in individual school corporations, check out our profile of Wayne Township teacher Wes Upton.